Over the past couple of years I have been finding ways to use leftovers to make new recipes. I came up with so many ideas and I wish I had jotted them down or started this blog earlier to keep track of them but I didn’t so here I am now. Yesterday was a lazy Sunday for us. I was pretty bored and considering the space the men were occupying in the house, I certainly could not do any cleaning, so to fill my boredom I decided to make stuffed chili peppers with some leftovers from dinner two days ago. 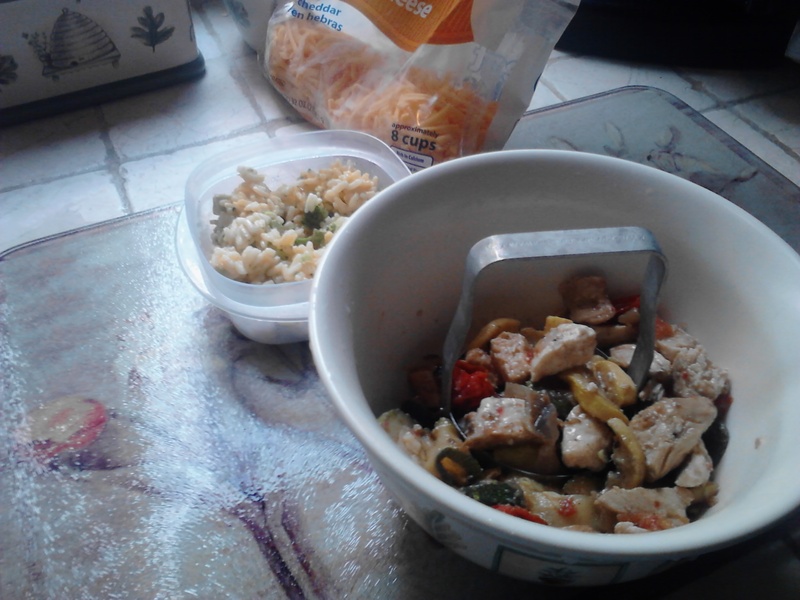 ~ Grilled chicken and vegetables, and a rice and broccoli casserole mix. I used my little nifty chopper to do the obvious(chop). After preparing the stuffing mixture for the peppers. I gutted the peppers of the all seeds. Whoa let me tell you they had such a strong aroma I had a coughing fit and my eyes watered. 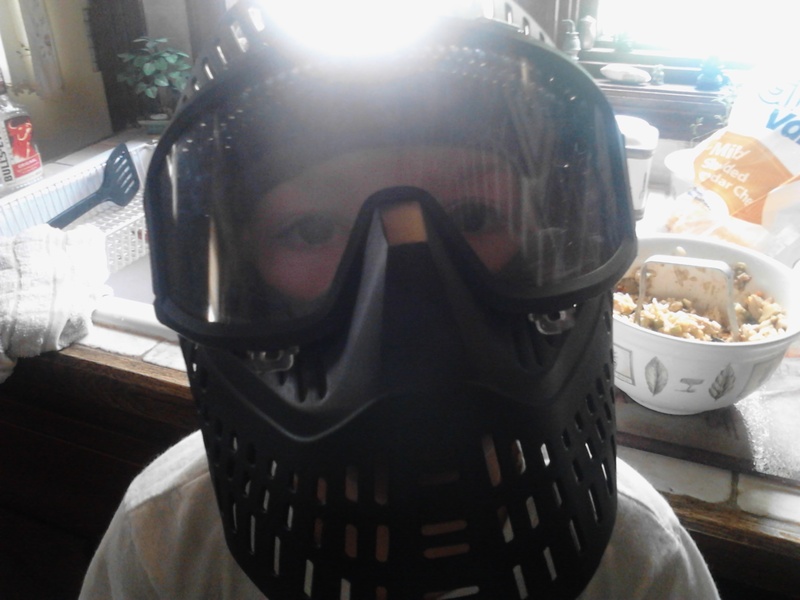 My little guy Matthew who likes to watch me cook geared up when he watched me go through my coughing ordeal. 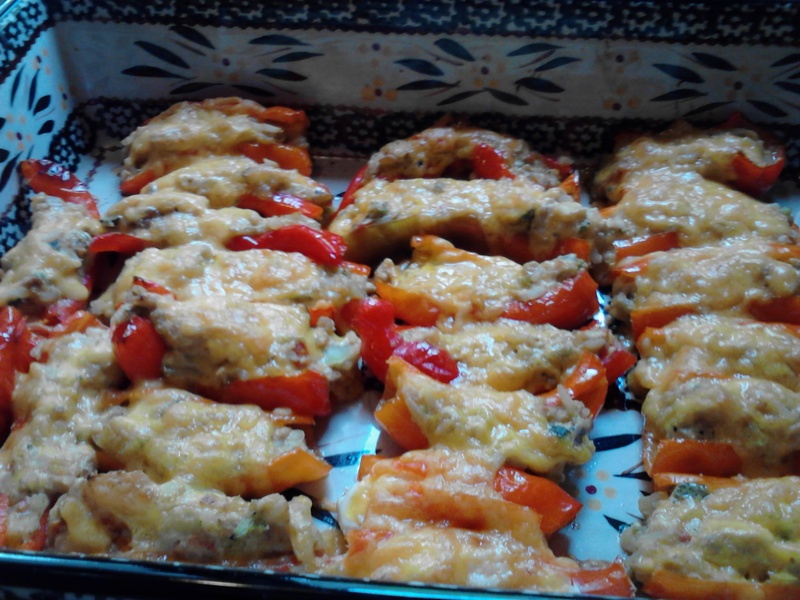 After cleaning the peppers, place on a cookie sheet and coat with a light layer of olive oil. Bake in the over for approximately 10 to 15 minutes. While these are roasting that is when I chopped my mix up. 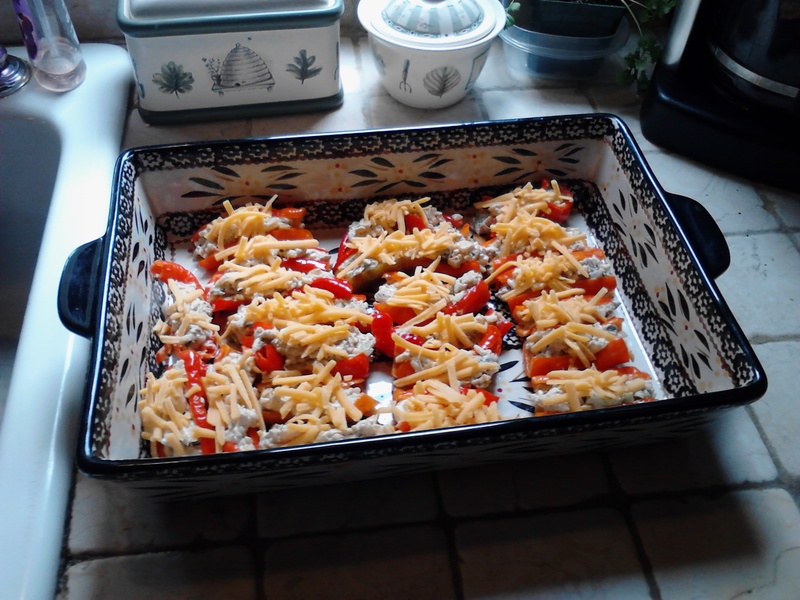 After the peppers are done, stuff with mixture and top with cheddar cheese. Actually, you can use any type of cheese you prefer. Bake in the oven at 375º for about 20 minutes. The last 5 minutes I like to broil to give it a little crisp on top. They really came out delicious. I was pretty impressed and after cleaning the seeds out and baking them, they weren’t that spicy hot at all.